Another new Dream Theater clip surfaces! Ludicrously epic album art… looks like Awake but better. Same with the smaller number of tracks – longer songs will be nice too. I’m REALLY going to be blowing money on the three-disc special edition though. Don’t think they’ve ever done covers in studio before. I so hope it’s better than the last album. If they make another song like “forsaken”, I’m affraid DT will be dead to me. …and yes, the album cover is great and the shorter track listing hopefully means more concentrated effort in each song. Glad to hear of the new album. I kind of wish they would get a real producer to help. While I love the epic 20 minute songs, a concise metal/rock song ala “pull me under” every now and then would be nice. And I don’t mean for it to sound like “falling to infinity” either. That album cover reminds me a lot of Awake! 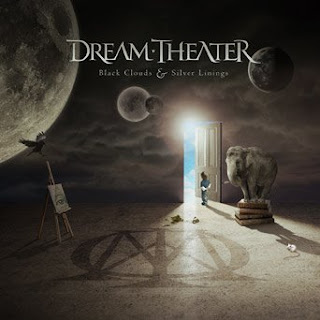 Maybe the music will too, as it’s my favorite Dream Theater album.